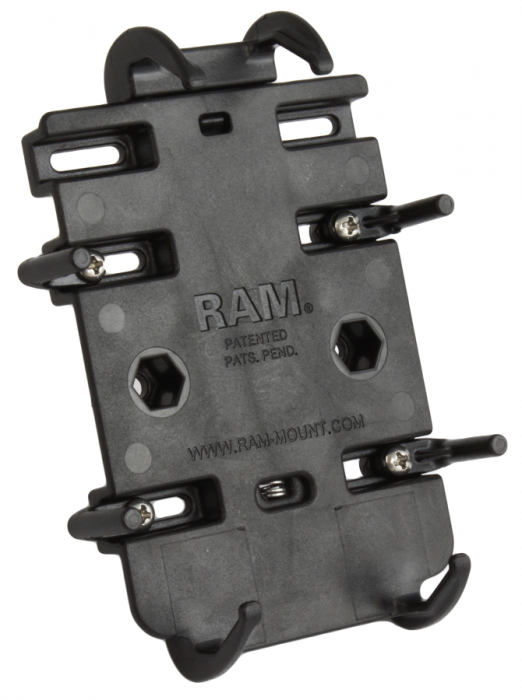 The RAM Quick-Grip device mount is capable of holding a broad range of electronic devices. 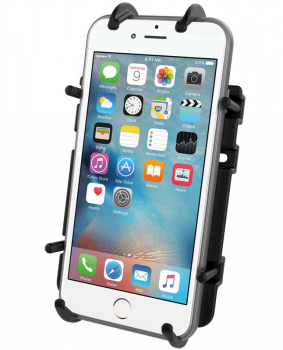 The spring loaded mechanism and the adjustable side keepers allow for a secure grip on your device. 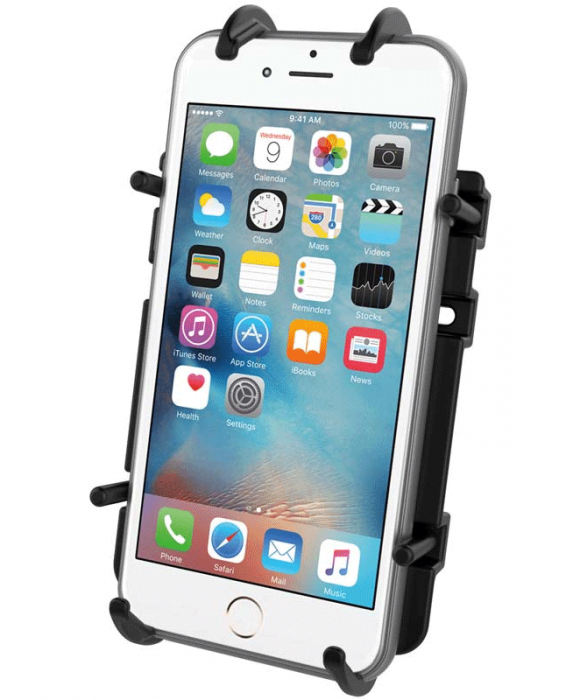 Whether it is a cell, GPS, blue tooth speaker or anything that will fit in the dimensions of the cradle, your electronics will be secure. Height Range: 4.75" - 5.25"
Width Range: 2.25" - 3.25"